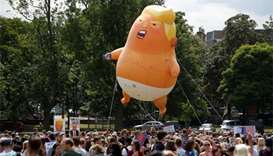 Organiser Didier Jiminez-Castro said he hoped the balloon would spur enthusiasm for Democratic candidates in November's congressional elections. The crash occurred about 10:20 am in Mount Olive Township in northern New Jersey's Morris County, Governor Phil Murphy told a news conference. 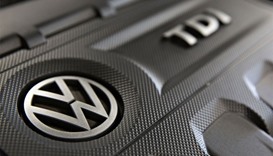 Volkswagen AG confirmed Tuesday it has agreed to pay $69 million to settle New Jersey state diesel emissions claims, one of the last major outstanding diesel legal issues the German automaker faces in the United States. 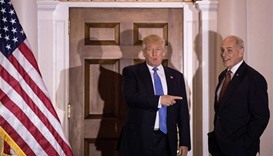 US President-elect Donald Trump on Sunday wrapped up a busy weekend of meetings with cabinet hopefuls at his golf club retreat outside New York, hinting new appointments should come soon. 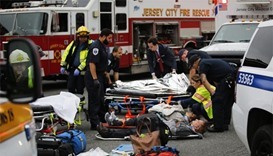 At least three people were reported killed in a rush hour train crash on Thursday in New Jersey, with officials confirming more than 100 people were injured, many of them critical. 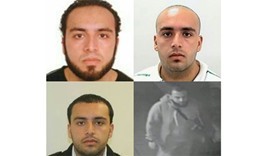 The Afghan-born American wanted in connection with weekend bombings in New York and New Jersey was taken into custody on Monday following a shootout with police, US television networks reported. Savvy Shields, a college student from Arkansas, won the annual Miss America pageant on Sunday after impressing judges with a jazz dance routine and her answer to a question about her take on Hillary Clinton.